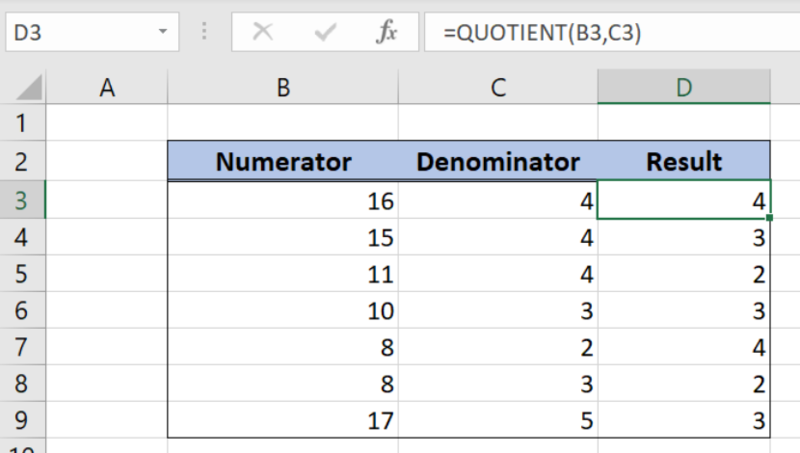 Excel allows a user to get a result of division without a remainder using the QUOTIENT function. This step by step tutorial will assist all levels of Excel users in dividing without a remainder. We will also cover the common errors experienced while using the function. Note that both numerator and denominator need to be integers. Let’s look at the structure of the data we will use. 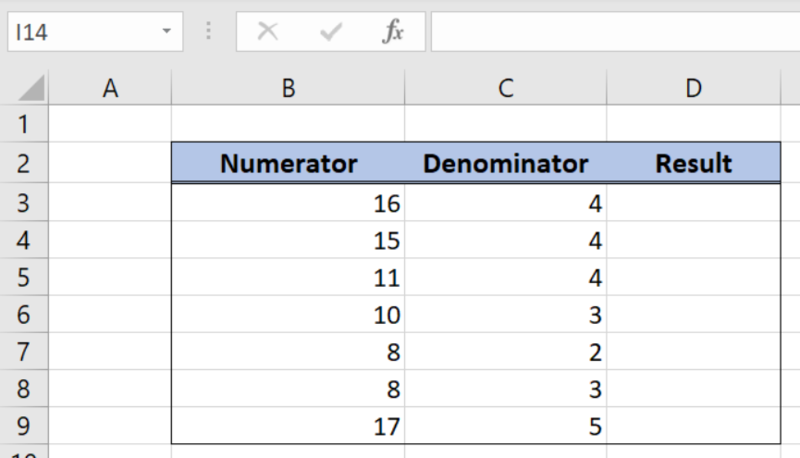 The table consists of 3 columns: “Numerator” (column B), “Denominator” (column C) and “Result” (column D). 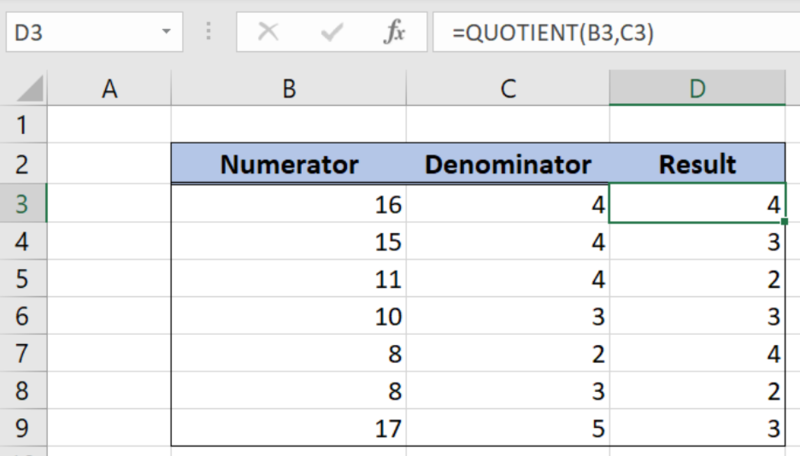 We want to get the result of the QUOTIENT function in column D.
In our example, we want to get the principal payment for the second period in the cell E3. The interest rate is 8.50%, the total number of periods is 24 and the present value of the loan is $8,000. Division by zero. If a denominator is 0 or empty, we will get #DIV/0! error. I am trying to set up a simple division problem to figure out a percentage but when I use Quotient and put in the denominator and numerator it comes up with 0% each time.